Crafting and publishing content takes a lot of time. That's why promotion is essential. But sometimes, promotion campaigns don't work really well and you feel as if you have lost money, time and a great opportunity to reach new customers. But don't worry, there are ways to repurpose that published content. You spend a lot of time producing great content for your website. Itâ€™s only natural that you want to get it in front as many eyeballs as possible. The internet is a crowded place. Everyone has a blog and the number of posts going live every day has passed 2.5 million on WordPress.com . That doesnâ€™t include other platforms like Blogger, Tumblr, and Squarespace. To make matters worse, 50% of content gets 8 shares or less and 75% of content gets 39 shares or less. Itâ€™s no longer enough to publish a great piece of content and share it on social media. Youâ€™ve got to distribute it far and wide. With repurposing, you can take one piece of content then slice and dice it into different forms so people can find and consume it however they prefer. Youâ€™ll increase your reach and many of those people will land back on your website. Itâ€™s a win win for everyone. Letâ€™s look at some of the best avenues to repurpose content for maximum exposure and traffic. Presentations are amazing. You can condense large amounts of information into the most important points. Youâ€™re free to highlight interesting statistics and use compelling imagery to get your point across. In a study sponsored by Prezi, It was found that visual presentations were more engaging than oral presentations. To repurpose your content into a compelling presentation, identify the main points. Your normal subheadings work well for this. In addition to the subheadings, pull out any statistics or interesting facts with shock value. If you donâ€™t have any, include quotable text. The best presentations have little text, striking imagery, and focus on the main points. Be sure to drop links back to the original article for people who want to dive deep into the topic. 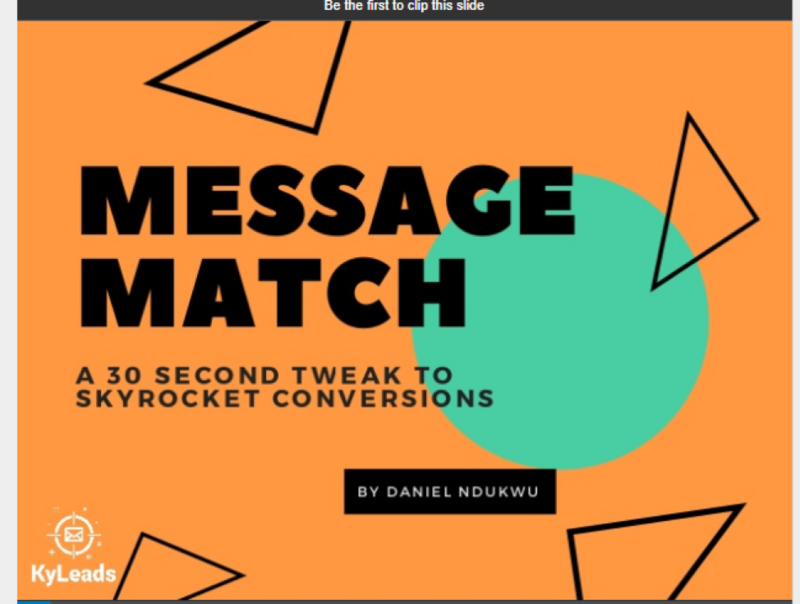 We made a Slideshare presentation for this post on message match, promoted it separately, and also embedded it into the original article. Prezi (a premium tool that allows you to make interactive presentations). Once you have your presentation, upload it to Slideshare, promote it, and let their algorithm do the rest. Youâ€™ll be getting traffic for a long time to come. Drift used this content repurposing strategy to generate 28,000 visitors in a month and land on the first page for a competitive keyword - product marketing. After their initial success, they continued to repurpose their content into slideshares. As of this writing, theyâ€™ve amassed millions of views on their slideshare account. Email marketing consistently generates a higher ROI than almost any other medium. 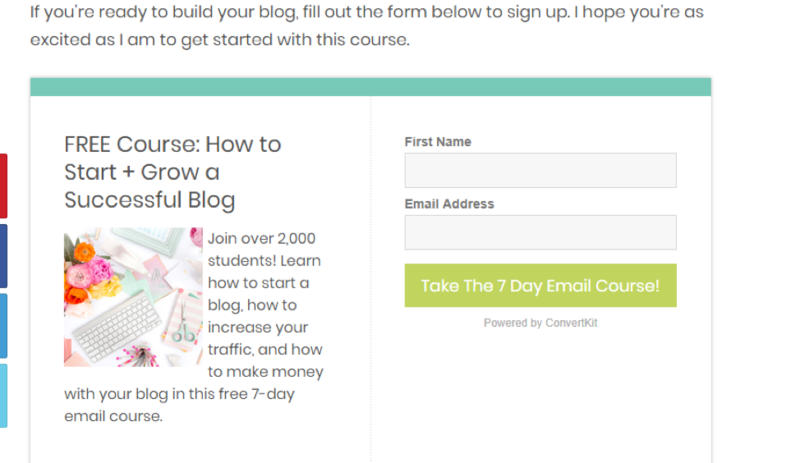 An email course is a great way to repurpose content. You may have to expand on your original post, but the process is similar to what youâ€™d do with a presentation. Take the subheadings or bullet points and expand each one into a lesson in your email course. 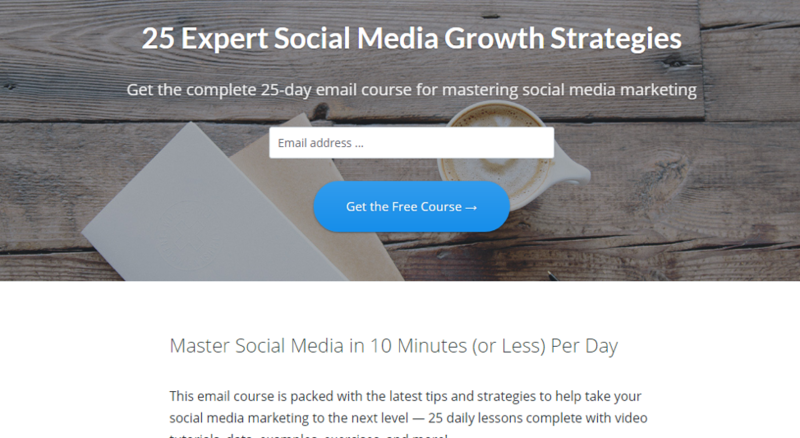 The ideal length for an email course is about 5-7 days. Create an end goal for your email course. Itâ€™s not only to drive traffic and email subscribers to your mailing list. Itâ€™s also a unique opportunity to pitch a relevant product to a responsive group of people. Think about an email course like this, your email subscribers are more likely to click a link and read your newest blog post. You donâ€™t have to hope Facebookâ€™s or Twitterâ€™s Algorithm surfaces your post for your followers. A fringe benefit of email courses is positioning you as an authority. Choose a blog post. This should be a post thatâ€™s already done well and is providing consistent traffic. Check you analytics software to narrow down the perfect post or series of posts. Expand the blog post. Each email should have 750 â€“ 1,000 words. Itâ€™s enough to give a solid lesson but short enough to be digested in less than ten minutes. Most people open emails on their phones. Load everything up and go through it yourself. Go through your email course at least once to make sure everything is functioning properly. Brennan Dunn used an email course to generate six figures on the backend. Heâ€™d spend $2.50 on Facebook ads and make over $50 when they turned into paying customers. Creating the course itself is only the first part. When used properly, it can be a great way to introduce your audience to your startup and the value you provide. Monitor the open rates, click through rates, and completion rates of your course. Test out different subject lines and content in order to improve it over time. In addition to generating traffic, it should be a consistent stream of new users for your startup. 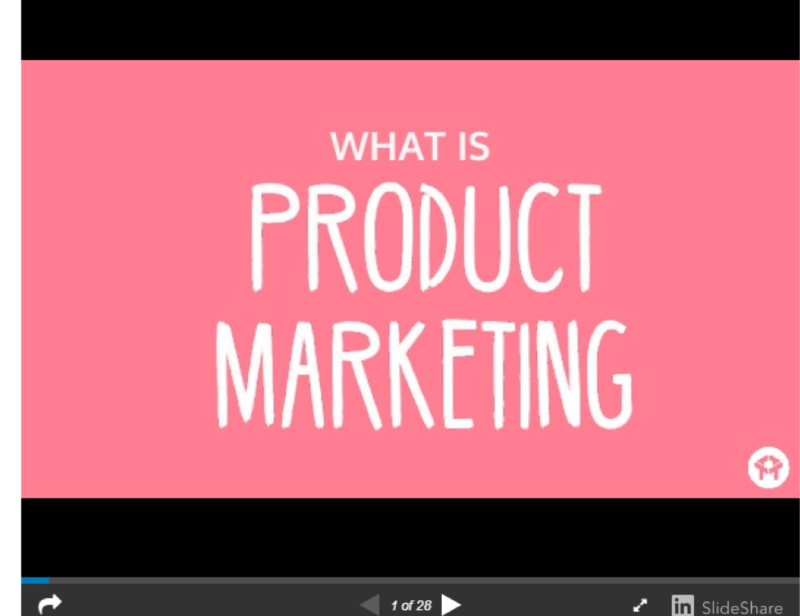 Buffer uses an email course to introduce people to social media marketing philosophy, and, by extension, their product. 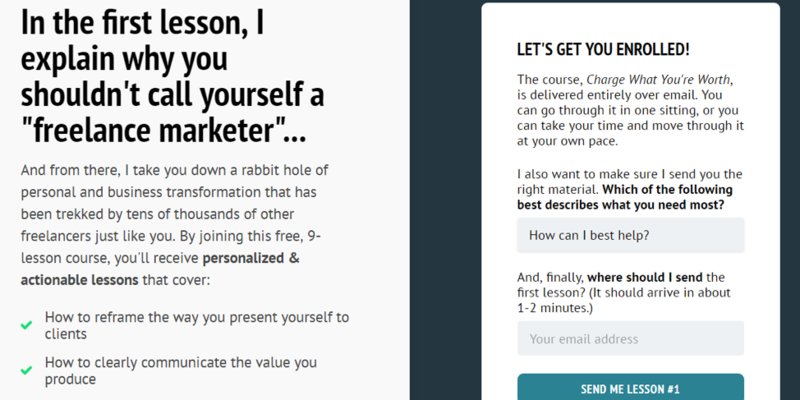 Unbounce also uses an email course. This one is focused on optimizing your lead gen pages. At the end of the course, they give the subscribers free Unbounce templates which gives them a compelling reason to try out the service. Itâ€™s great to repurpose content as an infographic because they break down otherwise dense information into an easily digestible format. Our brains excel at processing visual stimuli. If you see an image and words that convey the same information, the brain processes the image 60,000x faster than the text. This is an added advantage because our attention spans are shrinking on the web. Itâ€™s ideal when youâ€™ve got a lot of information that would otherwise be difficult to comprehend (like an academic study). Like with the other forms of repurposed content, you want to stick with posts that have already done well in the past. Identify the main points. As long as your post is well formatted, this should be simple. Keep the points in your infographic short. This isnâ€™t a replacement for the original blog post but you want to convey the main information in a new way. Decide the layout. Even if youâ€™re not the one designing the infographic, you should settle on a general layout. Get a pen and paper to work out a simple flow. Forward that to the designer so itâ€™ll be easier to make the infographic. Choose the fonts and color. You want to make sure your infographic reflects your brand. At the same time, it shouldnâ€™t be the exact same colors. Choose complementary colors and fonts that are unique. Add your sources to the infographic. This infographic is going far and wide. Itâ€™s important to cite your sources because you canâ€™t hyperlink the image file. 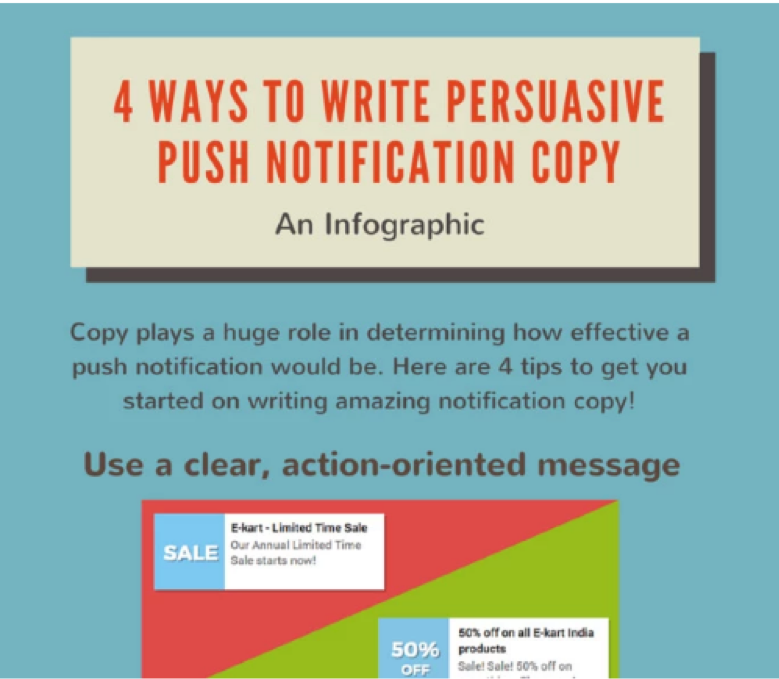 When your infographic is ready, reach out to relevant websites to see if theyâ€™ll publish it. Also, you should submit it to infographic directories. Be sure to vet the directories because not all of them are created equally. Infographics tend to do well on social media but there are a few specific places you can submit high quality infographics to get a surge in traffic. Infographaholic is one of the highest trafficked infographic directories. Ensure your infographics are 500px in width or less. An interactive quiz probably isnâ€™t what comes to mind when you think about repurposing content. Thatâ€™s what makes it so special. In a study of a hundred million pieces of content, eight out of the top ten were quizzes. A quiz taps into a powerful part of our psyche, the drive to understand more about ourselves. You can use this to your advantage to get more traffic and email subscribers. Take a popular piece of content and think about how you can develop a quiz around it. For example, you couldâ€™ve written on the best workouts for biceps. Your quiz can ask the taker what the best workout for their biceps are based on their lifestyle. Choose a topic. Use your popular content. Choose a title. The title should be relevant to your topic and inspire your audience to action. Create the outcomes. The outcomes are the results your audience gets from taking the quiz. They should be detailed enough to make them feel like it reflects their unique situation but general enough so they donâ€™t get alienated. Write the questions. Start with an easy and exciting question so they warm up to the quiz. Donâ€™t try to be clever because the quiz taker wonâ€™t choose the best answer if theyâ€™re confused. Make your answers. Create answers that reflect the language your audience would naturally use when they talk. Itâ€™ll improve your completion rates. Create a great quiz start image. After you quiz is ready, embed it in the post that inspired it and also create a dedicated page for it. Promote it on Facebook (they work REALLY well there) and your other social channels. 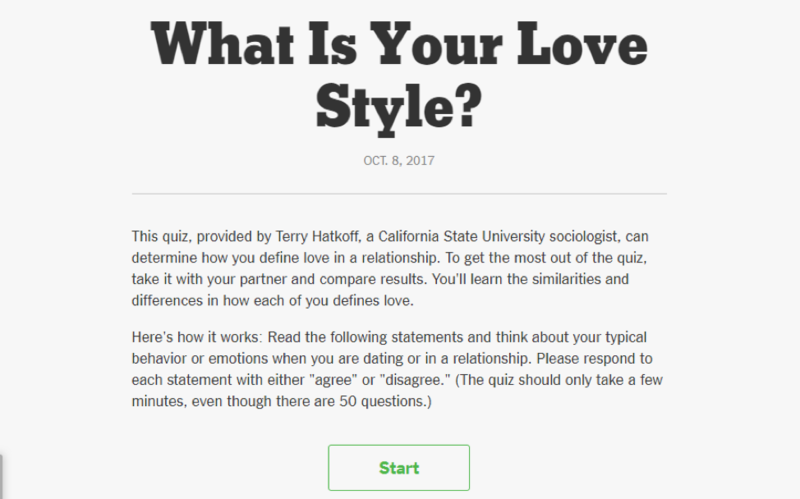 Once you see your quiz is working well, boost it with Facebook ads to create a lead generating goldmine for your startup. In addition to that, your quiz will reveal a lot about who your audience is so you can continue to create great content and increase your traffic. In a study by Cisco, it was estimated that over 82% of web traffic will come from video by 2020. Thatâ€™s a lot of traffic. Video also increases the conversion rates on landing pages. This form of repurposing is a bit more difficult. You have multiple options; you can edit footage together, create a PowerPoint presentation with a voice overlay, or shoot a talking head video. If youâ€™re like me and donâ€™t like to get on video too often then you can go the PowerPoint route. The only difference between this one and presentations is that this one has audio; all other things remain the same.  Thereâ€™s a neat tool called Draftsend you can use. Create the video by reading the content of each slide aloud. When itâ€™s ready, upload it to YouTube. Here are a few things to keep in mind. Thatâ€™s about it. The last thing you need to do is make sure your video is actually good. 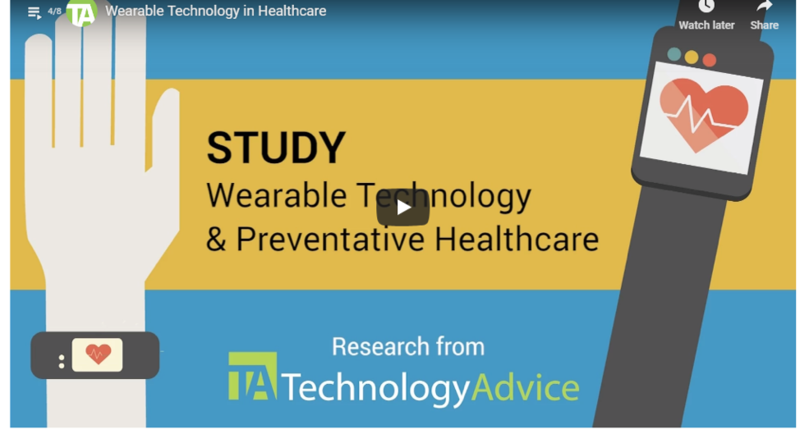 TechnologyAdvice repurposed an 18 page Ebook into a two minute video that was able to reach a larger audience. 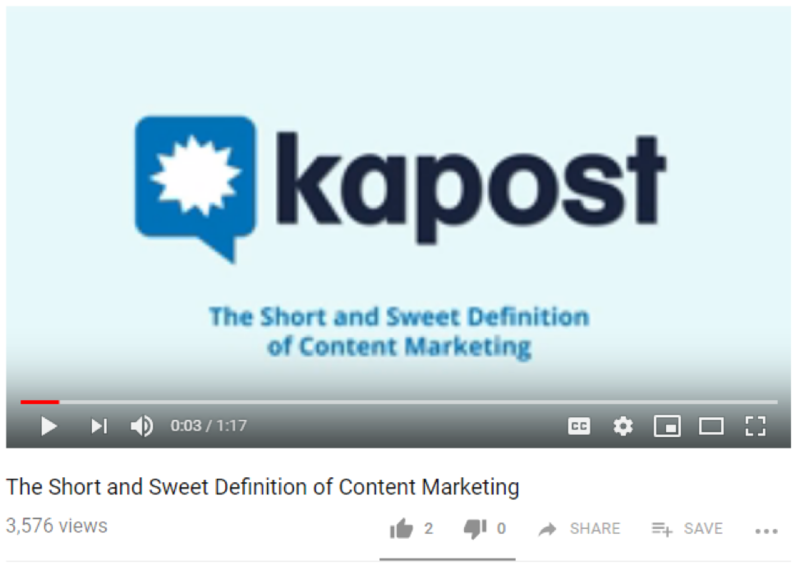 Kapost also repurposed an article about content marketing into a two minute snackable video. ITâ€™s been viewed over three thousand times. Note that the best repurposed video content is short and sweet. It gives a high level overview of the topic and gives the viewer a reason to get the full version. A podcast may be the easiest way to repurpose content. You donâ€™t need fancy equipment or editing software. You can get away with a cheap mic and an editing program like Audacity. The great part about a podcast is youâ€™re exposing your brand to a group of people whoâ€™d never discover you otherwise. That is, not everyone likes to consume written work or only go to very specific websites to find it. Theyâ€™re more willing to try a podcast because they can listen to it while doing something else. Even people who would normally read will choose to listen to a podcast when the option is presented. Filter through your content to see which ones will work best. Not all of your old content will work well as a podcast. Look for evergreen content and niche specific content that you can tell stories around. Great podcasts are the ones who can incorporate stories and lessons. Write a script. The way you go through a podcast is different than a blog post. Youâ€™ll need to write a script to guide you.If youâ€™re going deep on storytelling then youâ€™ll want to write the script out verbatim. If not, you can just use talking points to guide you. Promote it. there are tons of places that aggregate podcasts. The most prominent one is the Apple Podcast player. In addition to that, thereâ€™s Soundcloud, Stitcher, Podcast addict, TuneIn, Podcast Subreddit, Castro, and Bello Collective. Use a platform like Soundcloud or Libsyn to host your audio files. You can use your own website hosting but itâ€™ll slow your main site to a crawl when a few people are listening to the files. Once youâ€™ve uploaded the file, add it to iTunes and other podcast aggregators. Itâ€™ll be discovered by more and more people over time. As a startup, you have a lot of proprietary data. You do track how your users use your platform so you can optimize it right? You should have a lot of data just sitting around on your servers. Why not share it with the world. We have a lot of data on how people convert and what works best for people in different niches. We could easily turn that data into interesting research that no one else on the web has. With a few pretty graphs and a topic that touches your niche, itâ€™d be sure to be shared far and wide. Buzzsumo found that image heavy posts received double the amount of social shares. 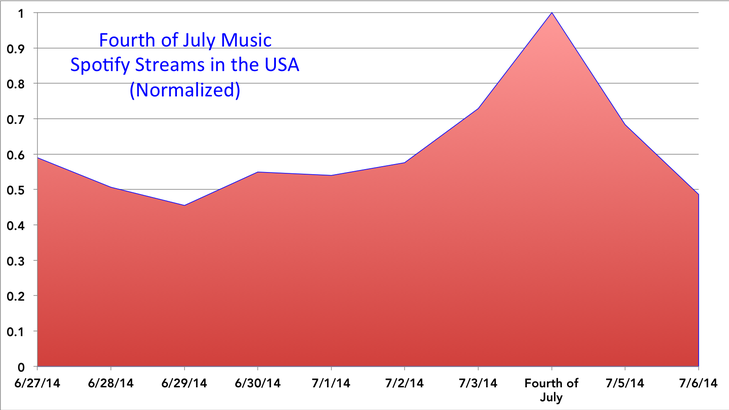 Spotify used internal data to determine the most patriotic states in the nation and the most popular songs. To determine what data will do well as repurposed content, use Buzzsumo to find the most popular content in your space. In the above screenshot, I searched for the most popular fitness content. From the results, I can see walking and building muscle mass get shared the most. If I had a fitness app, I could create content that showed people the most popular walking trails based on usage or the most popular workouts people use to build muscle. Think about whatâ€™s working in your space and how you can use your data (or even public domain data) to create compelling content. Search Buzzsumo for popular content. Ideally, this will be content thatâ€™s supported by some kind of research and is relevant to your space. Look at your own data. Can you make something with proprietary data?. Can you slice and dice your statistics to tell a compelling story? Use your data to create a narrative. Just throwing out statistics wonâ€™t get the job done. Youâ€™ll need to draw conclusions and guide readers through what youâ€™ve discovered. Create compelling graphics. Itâ€™s one thing to write 33% of people walked for 15 minutes. Itâ€™s another thing to make a graph that compares different segments of information. Combine everything into an article or infographic and publish. Over time, youâ€™ll create a large library of content for your audience. They will be focused on multiple topics relevant to your business and likely get a decent amount of traffic. You have two options at this point, leave them as is and hope for the best or turn them into a different format and spread it across the internet. The Ebook is a staple of the online marketing world and many startups have used it to gain initial traction. In fact, Unbounce used an Ebook to get their first email subscribers which eventually turned into paying customers. Look through your website to find topic clusters where youâ€™ve written at least five blog posts. If youâ€™re following best practices then that should equate to thousands of words of high quality content. Highlight different blog posts and subheadings (if thereâ€™s enough content) as chapters for your ebook. You should be able to expand each blog post into at least two chapters. If the content was created a while ago, be sure to update it so itâ€™s current for new subscribers. Your best bet is to choose evergreen topic that only require more detail. Flesh out the content and edit out the parts only relevant to your blog. A blog post can almost never do a topic justice. Add in the things youâ€™d like to talk about but couldnâ€™t because of space. There is no character limit for blog posts. Order the content in a logical way. Even though you may have written a specific post a year ago, that doesn't mean it should be the first chapter in your Ebook. Create an outline if that helps order the content in a logical way. Write a new introduction and a conclusion. Add calls to action throughout the Ebook. Bonus: set up a few automated emails to highlight specific portions of the Ebook. Most people download Ebooks and donâ€™t read much (or any) of the book. When you send emails, it increases the likelihood that people will open and read what youâ€™ve created. Baremetrics took this route by adding their most popular blog posts to an Ebook and making it available for purchase at select retailers retailers. They generate revenue from the book, but more importantly, they use it to introduce customers to their startup. When you just get started with repurposing content, choose your best performing content and only one or two other formats. Start small and test the reaction to your new format. If it does well, continue until youâ€™re comfortable with that method of repurposing then move on to the next one. If it doesnâ€™t do well, try again with a different format. Thereâ€™s no way to tell which format your audience prefers ahead of time. Repurposing content is a powerful way to extend the shelf life of your hard work. It takes a bit of effort to get right. Once you understand it, you can develop a system to speed up the process. Let me know what you think in the comments and donâ€™t forget to share. How to Start a Business with No Money - I DID IT with Only $41!